The definition of property ownership can be shifty and hard to understand because an individual can take title to property in one of three ways: in his individual name, in joint names with one or more other owners, or through contract rights. Whether a particular asset you own at the time of your death must be probated depends on what type of ownership you have and how the property is titled. If you own an asset in your sole name without any joint owners who hold rights of survivorship, the asset will require probate when you die. No one will have the legal authority to access the account or transfer the property to a living owner after your death—only you can do this and now you're gone. The terms JTWROS, POD, TOD and ITF on deeds or accounts indicate rights of survivorship. JTWROS means "joint tenants with rights of survivorship." POD and TOD translate to "payable on death" and "transfer on death." ITF means "in trust for." Totten trust accounts typically confer rights of survivorship. If you own an asset jointly with other owners as a tenant in common, transferring your share will require probate. Tenants in common have the right to transfer their shares of ownership during their lifetimes and via their wills or estates after death. How Is Your Individual Property Accessed After You Die? A probate court judge will appoint a person or institution to act as your estate's personal representative or executor and manage your estate through the probate process. This is typically the person named in your will if you made one. The probate judge will issue letters of administration, sometimes called letters testamentary in some jurisdictions, granting the personal representative or executor the legal authority to access property held in your individual name or as a tenant in common. The actual timing of the appointment of a personal representative can vary from state to state and can range anywhere from a few days to a month or more. What Will Happen to Your Individual Property During Probate? The probate of your individual property is controlled by the terms of your last will and testament if you made one. Otherwise, probate of your individual property will be controlled by the intestacy laws of your state and those of any other state where you own real estate or tangible personal property. These laws typically dictate that your property goes to your surviving spouse and children first, then more distant relatives. If you want your family to have immediate access to your bank accounts and other property without the interference of the probate court, but you're leery about adding joint owners with rights of survivorship to your property, consider setting up a revocable living trust. This is the best of both worlds—your assets remain yours and yours alone while you're alive. 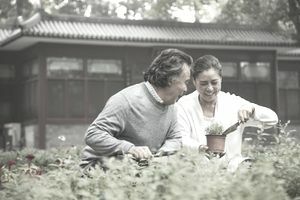 If you die after funding your trust with this property—transferring ownership into the trust's name—your successor trustee can gain access to it virtually immediately. Your successor trustee is someone you name to step into your shoes as trustee if you're ever incapable of managing the trust yourself. State and local laws change frequently, and the above information may not reflect the most recent changes. Please consult with an attorney for current legal advice if you have specific concerns. The information contained in this article is not legal advice and is not a substitute for legal advice.